Jayco Optimum 2011 powered by the economical Fiat Ducato 160 Multi Jet 3 litre diesel with Auto Transmission and manual over-ride. Built on the Alco Chassis with twine rear axles and weight distribution suspension system. King Springs upgrade on front suspension, disc brakes all six wheels. A pleasure to drive and with rear cameras you are aware of what is around you at all times. Reversing sensors, slide out queen size bed, full ensuite with separate shower & toilet with built in washing machine. 2 x TV's with satellite dish on roof gives you TV anywhere, the 2 door 3 way fridge with AES changes over to energy source as required automatically. Hot water system is gaselectric. 2 x 120amp AGM new house batteries charged by 360 watt solar unit or by 240V inbuilt charger monitor. Latronic 500 watt inverter, 2 x 90 litre fresh water tanks and 1 x 75 litre grey water tank. 2 x CD & movie players, 2 x fmam radios, UHF transceiver. 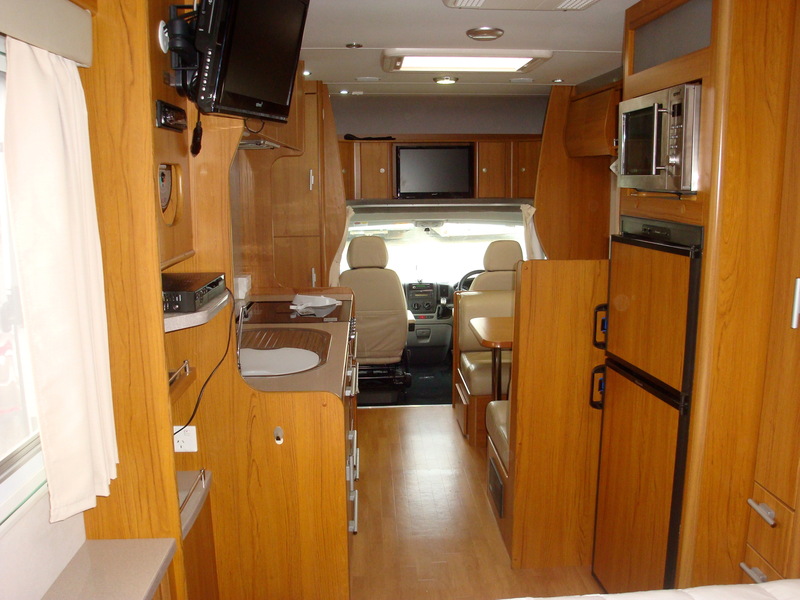 The motorhome is certified by CMCA as completely self contained. Electric wind-out awning has been fitted with Aussie Traveller Ant-Flap apparatus. 3 Sunburster Shade Walls made to fit the awning. Haymon Reece tow bar, leather seating throughout, reverse cycle AC, Microwave, Gas BBQ, Prestige Motorhome Cover, 2 x Toilet Cassettes, 20ft ground cover with interlocking rubber mats, solar screens for cabin windows, privacy curtain behind cabin and all required hoses and leads etc. Unit in excellent condition throughout and ready to tour. Registered to 28th February, 2020.